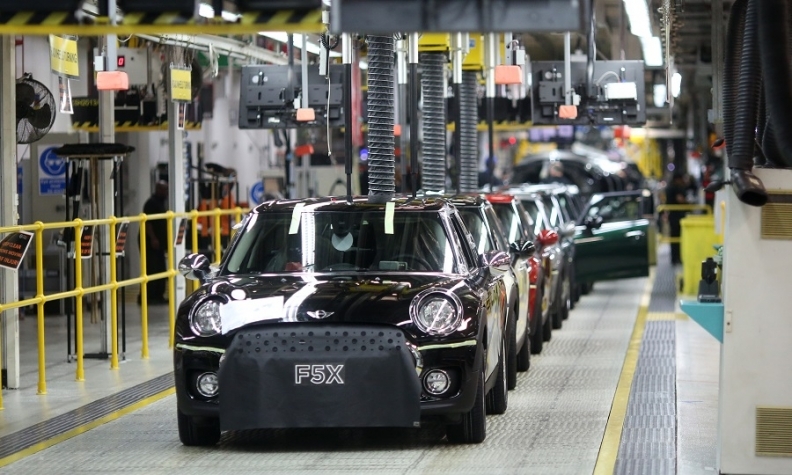 Mini production in Oxford could be hit by a no-deal Brexit. LONDON -- Britain's automotive industry on Wednesday launched a "Brexit Readiness Program" to help safeguard its supply chain in the event of a no-deal exit from the European Union. The Society of Motor Manufacturers and Traders (SMMT), the UK industry's trade body, said its program highlighted "a contingency planning minefield," with changes to regulations, onerous customs processes, tariffs and restricted access to talent among the challenges facing the sector in a no-deal scenario. The SMMT said its program was particularly aimed at providing support for small and medium-sized companies (SMEs), who make-up the vast majority of Britain's automotive supply chain. "A no-deal Brexit could have devastating consequences. With the clock ticking on negotiations, businesses must plan for all eventualities, including the worst," said SMMT CEO Mike Hawes. Automakers are worried that port and motorway hold-ups could slow the movement of components and finished models, crippling output and adding costs, if the UK fails to reach agreement with the EU over its departure from the bloc on March 29. BMW has said it could be forced to shift more Mini production to the Netherlands in the case of a no-deal Brexit. Toyota said earlier this month that a hard Brexit risks disrupting the weekly revenue of about 60 million pounds ($78 million) that it generates from its England plant.